The attorneys at Dwyer Williams Cherkoss Attorneys, PC understand the devastating emotional impact of nursing home abuse and neglect. The increasing use of nursing home facilities in our state, which correlates to Oregon’s increasingly older average population, means a growing number of abuse and neglect incidents in Oregon nursing homes. The sad but simple truth is that nursing home residents are vulnerable to abuse and neglect. Despite this fact, every year thousands of Oregon residents entrust their family members and other loved ones to the continuing care of nursing facilities. This is especially true when their loved ones require medical staff to be on call around-the-clock. Many of our most vulnerable loved ones are subject to gross neglect as well as physical, financial, or emotional abuse in long-term care facilities. The elderly are a particularly at-risk segment of the population because a disproportionate number of them have difficulty understanding or communicating that they are being victimized. Additionally, if nursing home residents are being physically or sexually abused by nursing home staff members, then they may be afraid that disclosing the abuse will lead to retribution by the staff. At Dwyer Williams Cherkoss Attorneys, PC, we offer compassionate and experienced representation to nursing home abuse victims and to the victims of neglect in long-term care facilities throughout the State of Oregon. If someone you love has been victimized in a nursing home, convalescent hospital, or other elder long-term care facility, we will answer your questions and offer you counsel built on 75 years of collective litigation experience. Call us today at 541-617-0555. Abuse and neglect in Oregon nursing homes is insidious in large part because family members do not discover the abuse until permanent injury or even death occurs. The nursing home abuse attorneys at Dwyer Williams Cherkoss Attorneys, PC have the skill and experience to carefully investigate the facts and to develop aggressive discovery methods to prove that substandard treatment and abuse is taking place in a nursing home facility. 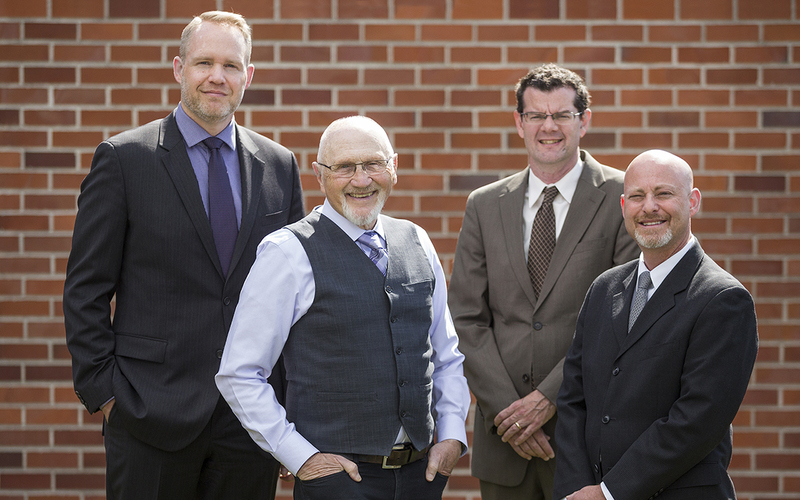 We are a statewide personal injury law firm serving all of Oregon, with offices conveniently located in Bend, Eugene, Medford, Grants Pass, Roseburg and Portland to assist clients who have been victimized by nursing home abuse and neglect. We offer an initial consultation free of charge and handle Oregon nursing home abuse and neglect cases on a contingency fee basis such that you only pay us if and when we recover compensation for your injuries. We will help you seek the compensation and protection that your loved one deserves! As family and loved ones get older, they rely more and more on the help of those around them. Sadly, those caring for the elderly sometimes take advantage of the trusted position they hold. Elderly persons receiving care at a nursing home, from an in-home healthcare worker, or even from a family member may be vulnerable to physical mistreatment or financial abuse. Financial elder abuse can deplete the resources available for costly end-of-life care and can diminish the gifts that those individuals spent a lifetime accruing to pass along to their loved ones. If you believe that you or a senior loved one has been the victim of financial abuse or fraud in Oregon, you may have a right under state and federal laws to file a legal claim for compensation. Get help receiving the money you deserve from perpetrators of financial abuse by contacting the compassionate and effective Bend elder law and senior abuse attorneys at Dwyer Williams Cherkoss Attorneys, PC for a consultation. By 2030, 1/5th of the country’s population will be over 65 years of age, and those 85 and older will be one of the nation’s fastest-growing populations. The average age of the American population is increasing, and with it is the risk that these vulnerable aging populations will become victims of financial abuse. The National Center on Elder Abuse has estimated that seniors lose nearly $3 billion each year to financial abuse. Roughly 90% of this abuse occurs in the home, rather than in long-term care facilities or nursing homes. Frequently, family members use their position of influence with an older relative to receive financial gain while ostensibly providing care to a loved one. Seniors are also victimized by telemarketers, door-to-door salespeople, and identity thieves. What are the signs that seniors may be the victims of financial abuse? If you suspect that you, a relative, or a loved one has been the victim of elder abuse in Oregon, seek seasoned, knowledgeable, and dedicated legal help to get you the money damages you deserve by contacting the Bend offices of Dwyer Williams Cherkoss Attorneys, PC at 541-617-0555.